It's a spectacular, look-up, feel-nice celebration with photo opps aplenty. 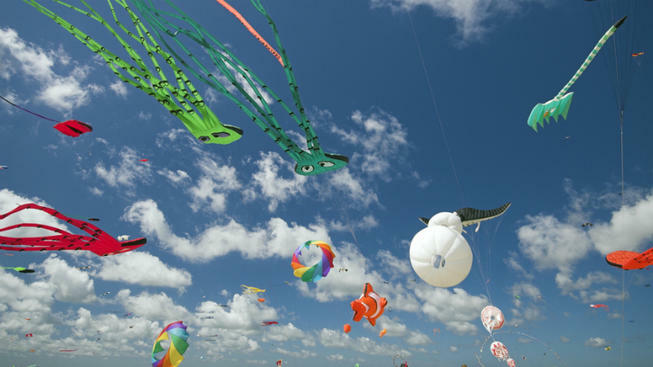 Bid farewell to the fourth month over its final weekend at a quintessential warm-weather event: The Morro Bay Kite Festival, fluttering from April 26-28, 2019. SURELY YOU WILL, since late April is a magical moment that takes up the slimmest sliver of the calendar? And that slimmest sliver is primo time for string-pulling pursuits? Surely. Start here for the schedule, the scene, and that Morro Bay brand o' spring-sweet bliss.